The members of the professional staff at Adoption Options are licensed, independent clinical social workers (LICSWs) with expertise in all aspects of adoption. They bring years of experience to their work both individually and as a team. They are known for their sensitivity, knowledge, and strong ethics in working to help individuals and families through the adoption process. 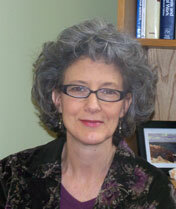 Peg Boyle, LICSW, has been a clinical social worker with Adoption Options at Jewish Family Service since 1998. She works with birth parents and adoptive parents of all types to bring children and families together. Peg has extensive experience working with families with young children. A family early intervention specialist, she has expertise assisting parents with children who have a range of developmental challenges. Peg serves as a trainer for the National Infant Adoption Training Initiative to help women make informed choices. 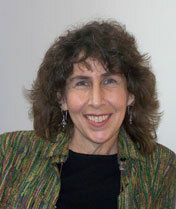 Shelley Katsh, LICSW, has been on the staff of Adoption Options at Jewish Family Service since 1997. She works with individuals and families exploring all aspects of the adoption process, from birth parents making adoption plans to adult adoptees searching for their biological families. In her tenure at Adoption Options, Shelley has seen hundreds of families come together through adoption. Shelley also works with other adoption professionals on legislative issues affecting the adoption community. Like Peg, she is a trainer for the National Infant Adoption Training Initiative.